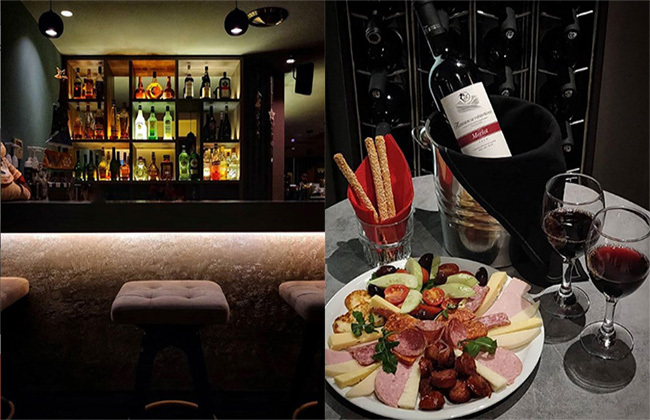 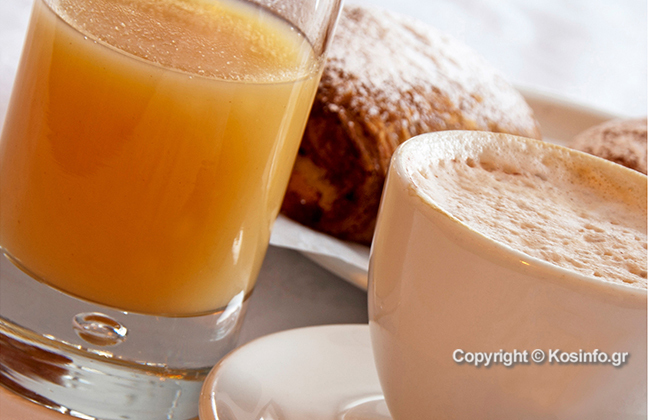 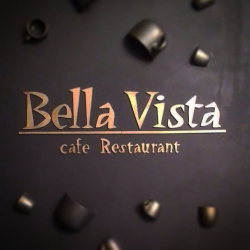 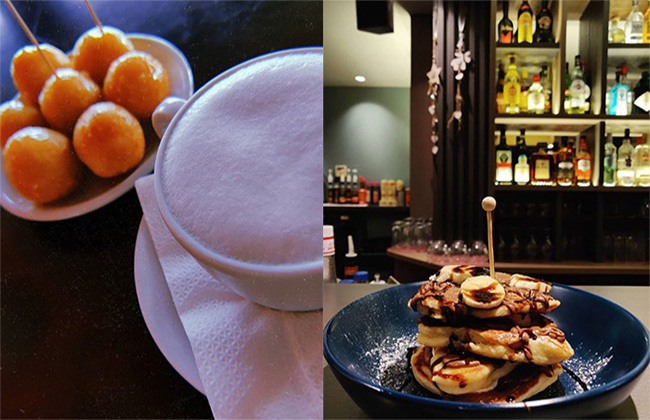 Enjoy your coffee or drink at café bar "Bella Vista". 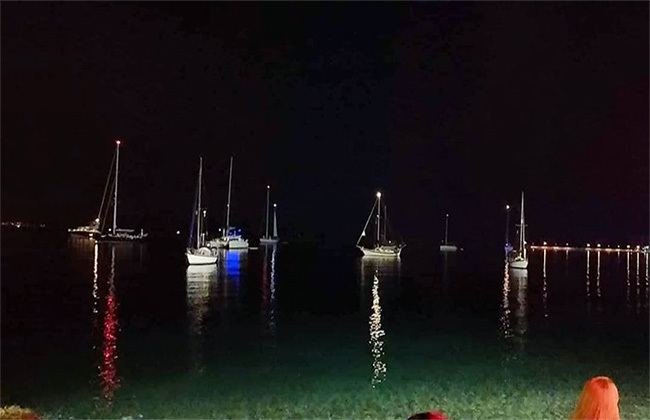 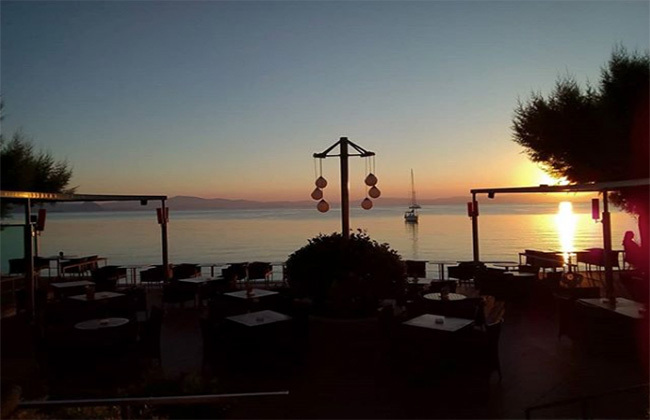 From early in the morning (07.30) with the cool sea breeze for coffee and breakfast on the terrace with the waves of the crystal waters popping "next to you". 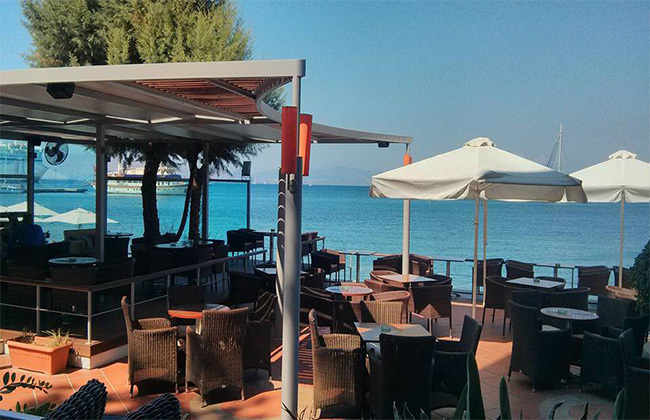 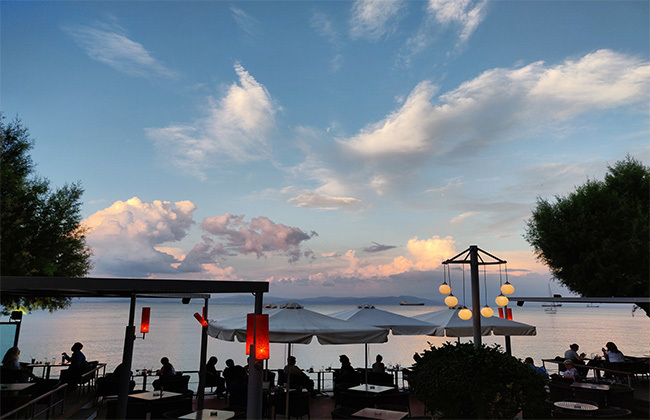 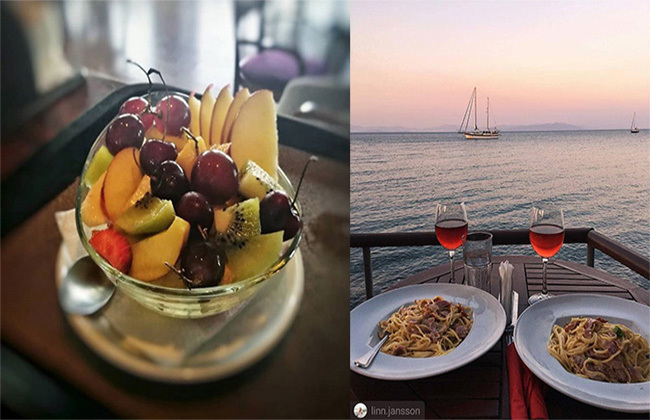 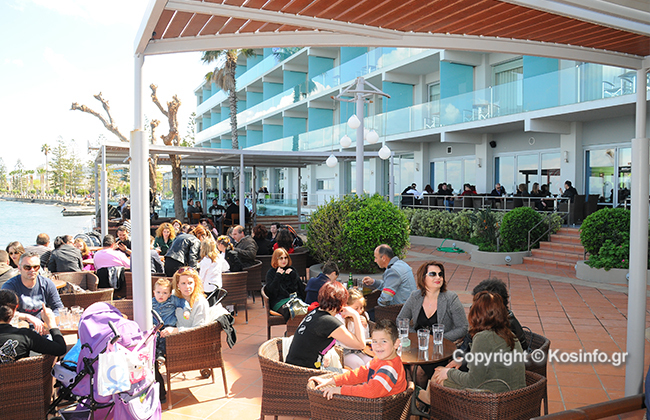 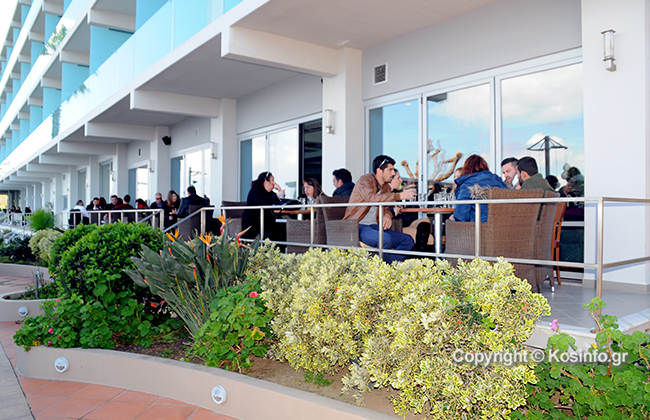 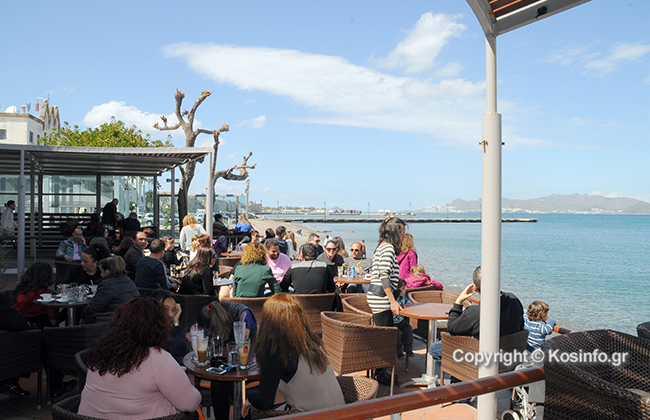 Also in the afternoon for a drink or snack with majestic views of the Aegean Sea at sunset. 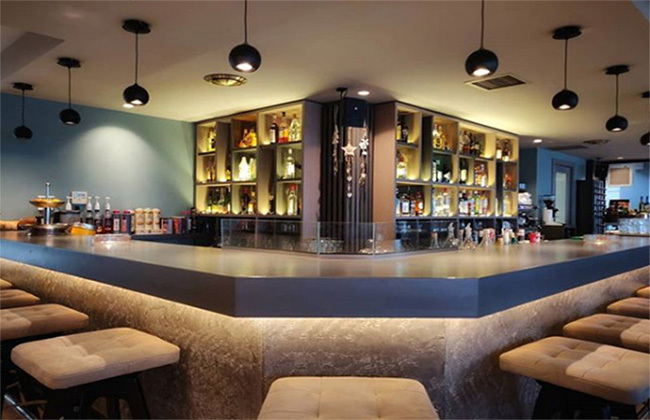 Also in winter with you with renewed decor in our hall.